The legend has high expectations from Virat Kohli's men as they have the luxury to play three fast bowlers. 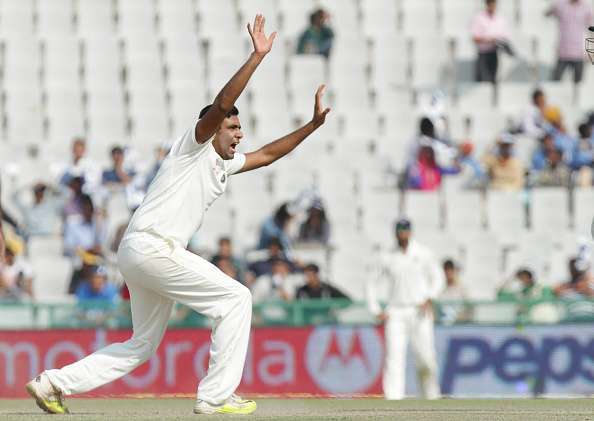 Image Source : AP A file image of R Ashwin during a Test match. "During the Cape Town Test of 2010-11, Harbhajan got seven wickets in the second innings (7/120 in 38 overs). Zaheer and Lonwabo Tsotsobe being left-armers created enough rough. Ishant and Sreesanth also came round the wicket and the rough helped when Bhajji bowled to right-handers," said Tendulkar. The maestro wants a repeat of the teamwork from the current pace battery. "The conditions will be more challenging for Ashwin and the wicket may be a bit damp. But our Indian pacers will need to help Ashwin by creating enough rough for him," Tendulkar explained. The legend has high expectations from Virat Kohli's men as they have the luxury to play three fast bowlers, apart from an all-rounder like Hardik Pandya, who is very much in the mix. "This time, we have the luxury of playing three fast bowlers plus a fourth pace bowling all-rounder (Pandya), who can bowl at 138-140 kmph and also bat effectively at No 7 or 8. Hardik has done it in Sri Lanka. "In my 24-year career, I never had the luxury of the fourth fast bowler who is an all-rounder. Of course, we had Kapil Dev and Manoj Prabhakar but they were among the top three pacers," Tendulkar said. "In 2010-11, we played some real good cricket and should have won the Cape Town Test had Harbhajan got some support from the other end. Then Kallis and Boucher also had a good partnership (103 runs)," he remembered. There is still some debate on whether the Indian team management should play Rohit Sharma as the extra batsman or go with the belief that Pandya has good enough technique to survive the second new ball batting at No 6 -- a position that VVS Laxman had made his own for a decade. Tendulkar made it clear that it is a decision of the team management and he will never compare one player with another. "That's a big call (Hardik or Rohit) but I would not like to comment on who should be playing. It depends on the team management, what kind of track is being provided, how much grass is on offer. There are a lot of factors and sitting here, I shouldn't be making a comment," Tendulkar said. Similarly, he did not wish to comment on who between KL Rahul and Shikhar Dhawan should open with Murali Vijay. "All these boys are very close to me. I am in touch with all of them, they discuss their cricket with me and it is not fair on my part to give my opinion on who should play and who should not. I have never liked comparisons," said international cricket's highest-ever run-getter. Tendulkar has watched Jasprit Bumrah from close quarters growing into a potent white-ball bowler at the Mumbai Indians and is confident that he would do well as and when he gets a chance in Tests. "He (Bumrah) is a bright prospect. He is sharp and got the temperament for the highest level. But then Mohammed Shami, Ishant Sharma, Umesh Yadav and Bhuvneshwar Kumar have been regular members for some time. 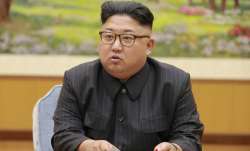 So we will have to assess that," the 43-year-old said. Tendulkar's duel with Dale Steyn during the Cape Town Test of 2010-11 is a part of cricketing folklore and the legend termed it the most challenging track on which he had played. "The Cape Town pitch of the 2010-11 was the most challenging track. I remember while fielding, I told Rahul Dravid that this was a proper seaming track. You never felt settled even after scoring runs. You had to play on the rise," said Tendulkar. Asked about the secret of success for batsmen on challenging tracks, Tendulkar referred to his double hundred in Sydney, where he was an epitome of patience not hitting a single cover drive till he got to the double ton. "The Australian pacers during that innings were bowling straight and into the wicketkeeper's gloves. I told myself, 'Good, you people want to bowl where you want, I would wait and make you bowl, where I want'," he recalled. "A good batting line-up is the one which makes a bowling unit bowl where they want to. Each wicket has a certain character where you should know which shots to play and which ones not to," he elaborated. "Not exactly easy but that's what you work hard for. There will be days when you would let your instincts take a call and days when your mind takes a call," he signed off.